1972's The Godfather is one of the most acclaimed films of all time. The story of the aging patriarch of the Corleone family transferring control of his empire to his reluctant son has captivated generations of moviegoers and brought new meaning to the word "family." 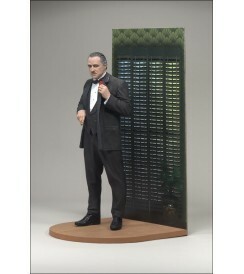 Now, McFarlane Toys' presents an action figure you can't refuse - 6-inch scale, incredible detail - a true collector's item. 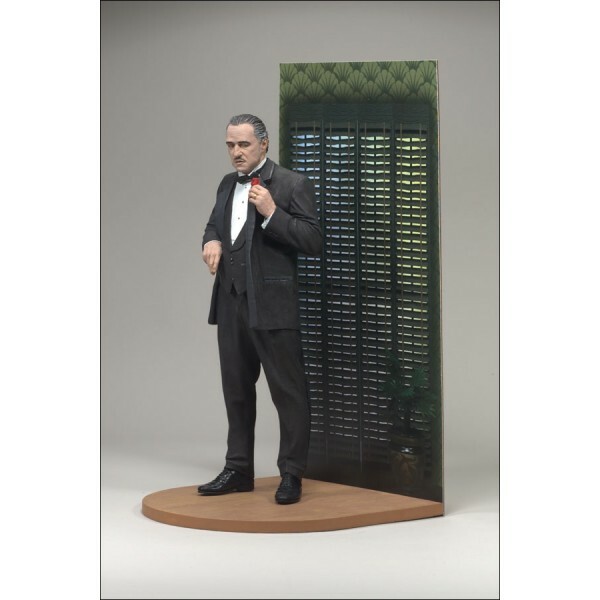 Don Corleone stands 6 ¼ inches tall. Stands on 4-inch by 4 ¼-inch custom base. Backdrop measures 4 inches wide by 6 ¾ inches tall.